McALLEN — The second of two Brownsville men accused of playing a role in the attempt to smuggle a grenade launcher into Mexico was sentenced Tuesday afternoon, court records show. Miguel Angel Gutierrez stood before U.S. District Judge Micaela Alvarez on Tuesday for sentencing in connection with federal gun charges related to his May arrest, which stemmed from an attempt to smuggle a grenade launcher into Mexico. Alvarez handed the 23-year-old man a 32-month prison sentence more than four months after he pleaded guilty to violation of the registration and licensing requirements related to the export of defense materials, which is count 2 of the indictment filed against him. The Brownsville native was arrested late last May at a port of entry in Brownsville attempting to cross into Mexico with a grenade launcher barrel inside his vehicle. Three days earlier, federal agents had received a tip about a launcher barrel expected to be delivered to an unidentified man, later identified as Jose Martin Carmona-Gonzalez, in Brownsville, according to the complaint against the two men. Carmona-Gonzalez, 45, of Brownsville, pleaded guilty to the same charge on Aug. 2, court records show. He was subsequently sentenced to 30 months in prison on Nov. 27, court records show. U.S. Customs and Border Protection officers working the port received word that Gutierrez was headed into Mexico; they approached Gutierrez and detained him. 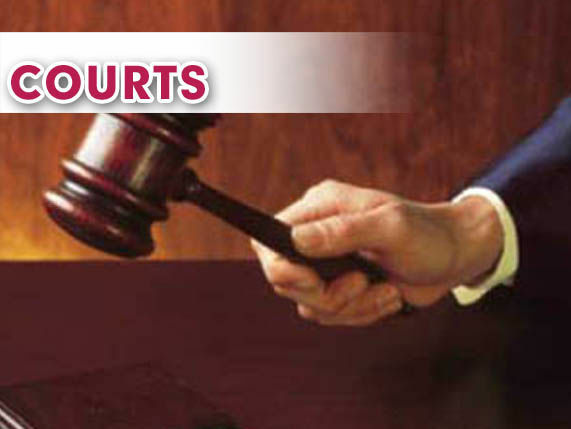 The defendant, who had been free on bond pending his sentencing hearing, will also be required to serve three years of supervised release upon completion of his prison sentence, court notes show. The case was prosecuted by U.S. Assistant Attorney Robert Wells. Assistant Federal Public Defender Joe. G. Jacinto represented Gutierrez in the case.